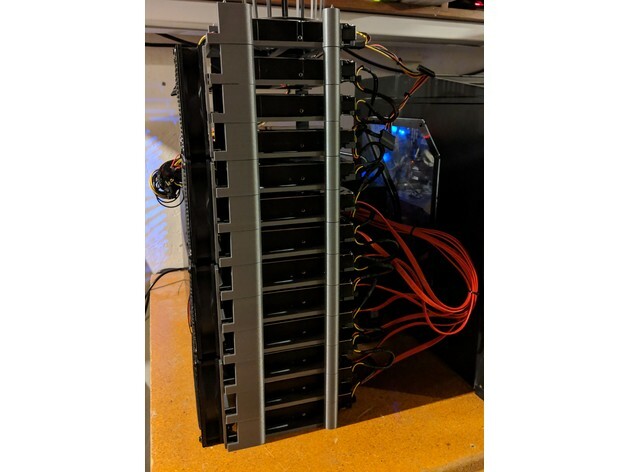 I ran out of space in my computer case, so I designed a stackable hard drive tray with 120mm fan clips. 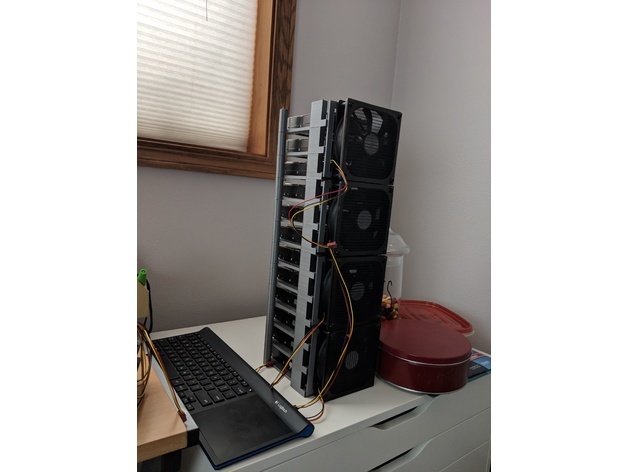 Each fan will cover 3 hard drives. 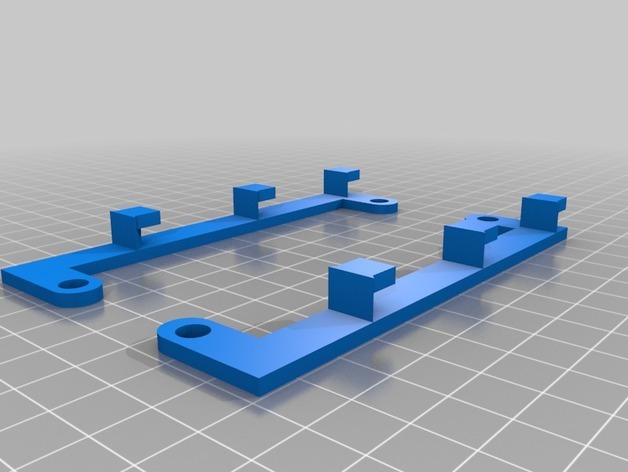 You’ll get a cleaner print if you include supports for the fan clips, but it’s tough to pry out the supports. Worked fine printing without supports for me. The tray has nubs on it that will align with the bottom screw holes on most comma 3.5″ sata drives so that it sits in place. I’ve heard the screw holes on shucked drives aren’t always standard, so you might need to reposition those nubs if you have a non-standard drive.